TuBS - How to apply? TuBS does not process any more new student applications due to the changes within the graduate school and doctoral programme system. THE APPLICATION ROUND YEAR 2011 IS CLOSED! The Turku Doctoral Programme of Biomedical Sciences (TuBS) invites applications for international four-year doctoral training positions for 2012-2015. PhD students are offered an excellent research training programme, including basic and advanced courses in biomedical research as well as transferable skills. Doctoral studies are undertaken in the supervision of affiliated principal investigators. The goal is to achieve a doctoral degree within the four –year period from the starting date of the studies. 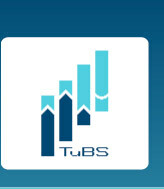 TuBS provides 50 % of the salary and the supervisor is responsible for the other half. The salary for the positions will be based on the salary system of Finnish universities. The application form together with attachments (figures) should be sent as one (1) PDF document to nina.widberg@utu.fi. Detailed information about the application procedure is below. The closing date for applications is Wednesday, August 31, 2011. 1. Submitting the application form with attachment as one (1) PDF document (deadline: Wednesday, Aug, 31, 2011). 3. Oral presentations. Based on the evaluation of the application and the short problem essay some applicants will be invited for an interview by the board of TuBS. In this interview the selected applicants will give an oral presentation (3 power point –slides in 5 minutes, saved in PDF format) on their research proposal, followed by questions from the board members. The preliminary dates for the interviews are in September (19, 20, 22, 23), please mark the dates in your calendar, because the invitations will be sent with very short notice. 5.After being selected to TuBS, a prerequisite for continuing to study in TuBS doctoral programme and receiving TuBS funding (=salary) is to hand in the supervision agreement and passing the Molecular and Cell Biology – examination. The exam must be passed on one occasion, which is arranged in November 18th 2011 at 9.00-11.00. Place: Auditorium of Microbiological Institute, Mikro (Kiinamyllynkatu 13). The suggested reading for the examination is Alberts, Lewis, Raff, Roberts, Walter (2008): Molecular Biology of the Cell, 5th edition, Garland Sciences, New York. Keep to the given length restrictions on the application form: abstract max 200 words, research plan max 4 pages. The application form and instructions for the research plan and study plan can be found on the following link: http://www.tubs.utu.fi/students/downloads.html. For further information contact the director, professor Olli Lassila, e-mail: olli.lassila@utu.fi, coordinator Susanna Rosenberg, e-mail: susanna.rosenberg@utu.fi or the doctoral programme secretary Nina Widberg, e-mail nina.widberg@utu.fi.